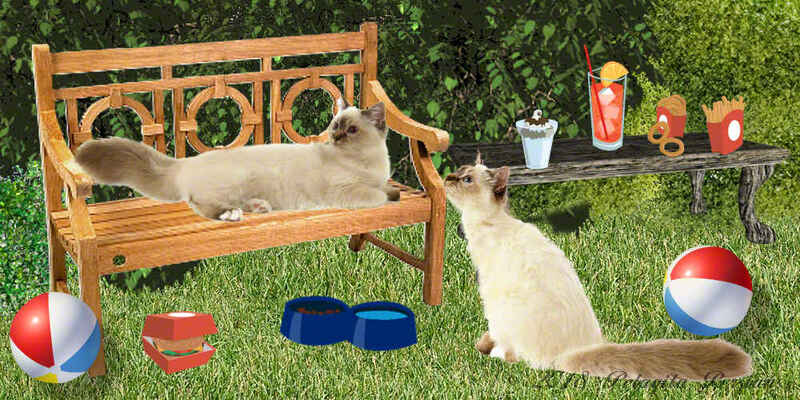 During the summer, cats can be susceptible to heat exhaustion & dehydration. Overweight and senior cats are at a higher risk, especially if they are let outside. Leave your cat indoors during the hot summer days and make sure she/he has a cool place to rest in and ALWAYS has fresh, clean water available. Never leave a cat alone in a car on a hot day even if you leave the windows cracked open – the car will quickly reach an unbearable temperature and your cat can die in moments. When at home, keep the air circulating with a fan or air conditioner. If you leave your house windows open for air, make sure they have screens that are securely attached. Additionally, lowering the blinds to about 8 inches above the window sill will keep the room cooler and let your cat watch the world go by. If you see any signs of distress in your cat, call your veterinarian immediately.